Productive habits of mind. Dimensions of Learning is a valuable tool for reorganizing curriculum, instruction, and assessment. 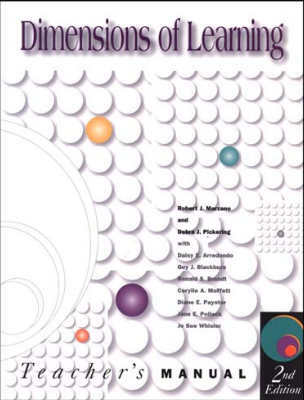 The authors discuss each of the five dimensions in detail and describe hundreds of teaching strategies that support them—for example, how to help students construct meaning for declarative knowledge, internalize procedural knowledge, and see the relevance of what they are expected to learn. The authors provide many examples at the elementary and secondary classroom levels. Teachers of grades K–12 can use this information to improve teaching and learning in any content area.